Awesome instructor! Very informative class; I could have not asked for a better solution to an automotive tinting class! Amazing!!! I had some knowledge of tinting, but I wanted to start fresh. I learned so much from the meaning, the purpose, why it's used, how it's made and what all of this means to me in the end…this class gave that to me! I feel like I have a lot more knowledge of tinting now to have that competitive edge. Thanks, Robert! 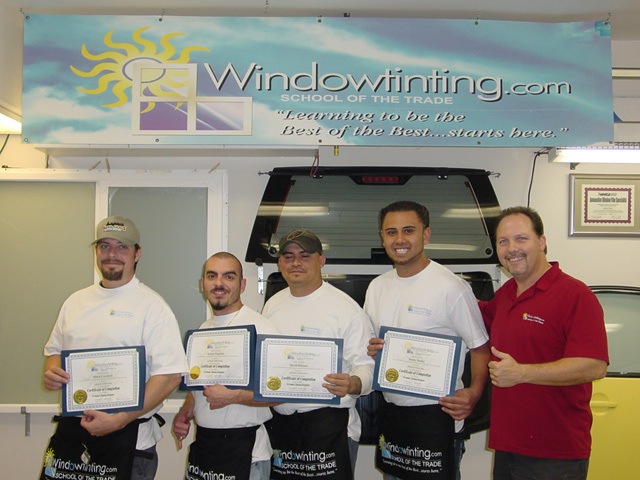 Robert is an excellent instructor and teaches the "art" of window tinting so you can learn the RIGHT WAY! Excellent school and training! THE best instructor I EVER had! I had so much fun and learned at the same time. THANK YOU SO MUCH, ROBERT!